A short rush, then creeping behind a box, get out carefully and silently kill the enemy. Or, rather, carrying a six-barrelled, break in the door with your leg and start popjoying? Today’s article is dedicated to shooters. What s wonderful genre! It is there that you can plunge into a game as best you can. You dive into it to the full, you can fall into main character and get off perfectly. The major advantage of modern 3D actions is freedom to act. A goal is set before you, and the way to achieve it is chosen purely by yourself. Sometimes you even can break the genre limits. If the developers equipped you with a bazooka and placed many red tuns with fuel all around the location, that doesn't mean that you can't take a knife and remain discreet. Well, who am I kidding? What a guy wouldn’t shoot at such tun? The location will be in fire, enemies in panic, a liberated hostage with you, and on your way you might come across a perfect companion (you perfectly understand that either she is a dummy, or you will have to save her). And as long as you have chosen a stealth-action games, for example, PUBG, then this is an absolutely different concept. Changing clothes, spy gadgets, surveillance, waiting and, what is the most important – a plan. Everything you have done during a long period of time has to function as clockwork. Your victim must enter the room and light the fireplace, by this time there will have been enough gas below stairs. But it mustn’t explode before it, and for this you have to take the cigarettes off the maid and liquidate the guard. And this is only the first level. If you get stuck, you can consult youtube to learn a playthrough, though we believe it is for pussies only. Or you fancy falling into animal at bay but managing to escape a trap with a feeding frenzy? You will enjoy FarCry. Upgrading your hero from scratch and than grabbing the control over the island, sounds cool! Everyone who has at this very moment their pulse accelerated, eye twitching and pictures from your favourite games in mind, you has come to the right man. 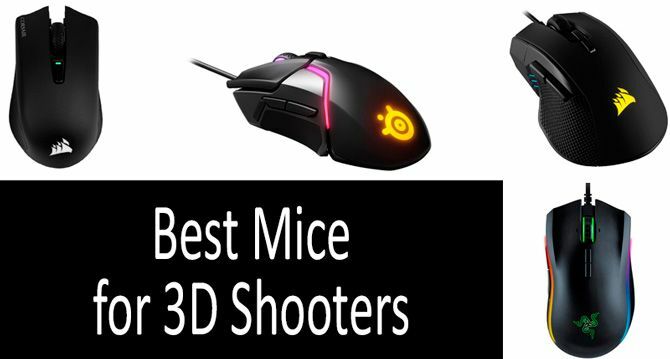 Today we are going to study modern FPS mice market and try to find out what mouse will be the best for shooters and suitable for you. Let’s place on a pedestal the top models, define the major features of a mouse which will help you both in liberating a city and hunting zombies. We are going as well to consider models which are sure to deserve our attention but can’t to bull their way through the glory of giants. We won’t go deep into all the details, as there is no such a necessity. While choosing a mouse you should pay attention to the aspects described below, while everything else either will go as a set or doesn’t have much significance. 1. Sensitivity – FPS games require high value of this parameter most of all. Dpi is to be at the top of the world as well, notably, its lowest passable value is of 6400 dpi. Rarely models with 3 000 dpi can be all right to, by it is rather an exception than a rule. High sensitivity of a mouse provides you with comfortable targeting and possibility to shoot better without missing. The range and lack of this parameter is felt while shooting with a sniper weapon best of all. If you feel the picture not changing though you have moved the mouse, or the shift hasn't been the one you expected it to be, then it is a dpi to provoke this problem. 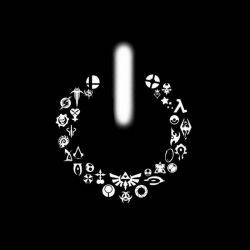 What is also important for every game with changing weapons and different dynamics of gaming issues, that means for every shooter, is a button changing dpi in passing. While slinking by mouse in obscure corners, you make use of one level of your reaction, but if engaged into bloody scuffle… well, this is another story altogether. 2. Additional buttons – say a firm «no» to them, and, if you badly need them, use them as rarely as possible. The maximum is for changing weapons, shooting mode and one or two other functions. You want bind all the buttons and combinations to your mouse, and even if you manage to do it, congratulations, you have bought a MMO mouse, inappropriate for a skilful FPS game. 3. Response and perception of pushes. This is a very important aspect for shooters, the higher the number of identified pushes per second, the better. 4. Response time – is the time of your PC's reaction at the push. The quicker, the better. Most often top mice offer 1 ms. Take this version but if there is a broad gap in price between two simial models showing a 1ms and 2 ms respnoses respectively, buy the latter. 1 ms is not enough for Windows to work out. If you have Mac OS or Linux, then lucky you are. 5. Appearance – evidently, I'm not speaking about what a mouse is a glossing beauty! I'm speaking about the maerial, it must be firm, comfortable and not sliding. The wire of a FPS mouse should be as follow: a tissue coverage and maximum length, USB connection interface (like for all gaming mice). Take my recommendations into account. This is not a precept of truth. There are both obligatory and preferable positions. All this reveals while making a choice and, well, if you come across a device meeting all the criteria, certainly, buy it, this is an ideal option. Corsair is a well-respected name in PC components, cases, and peripherals. Whenever you see that set of ship’s sails adorning a component, you know you can expect a certain amount of quality, bottom-line. Corsair isn’t that known for their mice, as outside of the gaming world, most would agree that a mouse is a mouse for the most part. However, since gaming mice have a lot more concerns involved, you want a company skilled in additional accouterments to do the design, and do so, Corsair has, with this high-end RGB gaming mouse. DPI – Up to 18000 DPI for designer-scale precision. Navigation Buttons: Yes, on the left side. DPI Modulation Buttons: Yes, plus and minus. Scroll Wheel: Yes, clickable with ticking scroll feedback. Color: Black with blue highlights. Connection: USB 2.0/3.0 high speed. IF you’re into FPSes or MOBA style games, this high-DPI mouse will definitely provide smooth controlling and precision that you wouldn’t get out of a standard mouse. It has plenty of additional buttons for quick mapping, meaning you can reduce your use of keyboards, which can only be a good thing, given how awful keyboards are for gaming. For other uses, the additional buttons are also great, providing navigation, DPI control, and scroll wheeling that can’t be beaten. The RGB is actually a little distracting, and red wouldn’t be my first choice for lighting myself, but it’s popular, and chances are, if you have an RGB case, the red will match at least one of the aspects of that case’s lighting. I’ve tested one of these mice playing a couple retro FPSes, which are notoriously less smooth to control, namely Quake I and Chex Quest – this mouse made them control like butter. Lots of buttons for mapping and non-game use. Red isn’t the best color for lighting. The wheel can wear out. A few nitpicks aside, this is kind of the corvette of mice, being one of the higher-end ones on this list, and one I am very comfortable recommending. As we said, with Corsair, you know you’re getting a certain level of quality with just about any PC component bearing their distinct ship sail logo. Corsair’s reputation in mice and keyboards is somewhat recent, as gaming has called for much higher-end keyboards and mice designed for comfort and flexibility on that end. I have a couple issues with this wireless mouse, chief among them the fact it’s wireless, but we’ll get into that momentarily. DPI – Up to 10000 DPI for designer-scale precision. DPI Modulation Buttons: Yes, but only one. Color: Black with LED backlight. WDMI-Compatible: Wind7 and higher only. Connection: RF wireless via USB dongle. Let me start by saying this is absolutely not a bad mouse by any definition. It handles smoothly, it’s relatively comfortable, it has lots of buttons, and it’s very precise. However, I have issues with wireless peripherals, as they run out of juice, and things can interfere with their signal. Just, expect to have to charge this mouse often, which could get annoying if you’re an especially avid gamer. I’m also not a huge fan of the raised “thin panel” approach to the left and right buttons that this and a few other mice do, it just doesn’t feel natural nor very durable to me. Still, this is a personal preference thing. My one other concern is the side buttons, while responsive, are underplayed, I feel like I’m never really clicking them with this mouse. I like chunky buttons I know I am touching, and definitely know I am pushing/clicking. Still, this style of mouse is quite liked by a lot of people, so there’s no accounting for taste, truly. Divisive style for left and right buttons. Seems a little on the fragile side even though it honestly isn’t. This may not be my ideal mouse for a couple reasons (mainly the wireless nature of it), but that definitely does not make this a bad mouse, and for those who like wireless, this is definitely the one to consider. I expected to hate this mouse in every conceivable way, but amazingly, I really didn’t. It’s a clever idea, with multiple optical sensors, and a weight system to add some heft and feedback to using it. I have a few complaints about it that’re the direct result of compromises for this approach, but they’re honestly nitpicks. Tracking: Laser-enabled optical tracking with two sensors. So, the modular weight of this mouse is an interesting idea, as something that can be a bit polarizing. Some people prefer a heavier weight, while others prefer to have a lightweight that doesn’t strain their muscles. This one allows for some adjustment, which is an interesting idea, and one I’d like to see done in more things like phones, tablets, keyboards, and game controllers. This makes me wonder if we might see some interesting designs with haptic feedback via HD rumble in the future, which is a concept I have yet to see done in mice or keyboards. I think this thing is kind of ugly, when it’s put together, and I always feel like I’m going to break it, but in all honesty, you can’t break this mouse without meaning to. The dual sensors actually make this thing feel as smooth as an analog mouse, I’ve even tried drawing with one of these, astonished at how well that worked. If you take this apart too often, it could wear out. It loves pink and purple in the backlight, which are colors I am not a fan of myself. This mouse itself, I would recommend to some, but what I really like is the potential it shows for future peripherals, allowing more features and customization options down the line. If you have a non-standard weight and heft preference, this also might be right for you. I wouldn’t recommend using this MOBAs though. The mouse I use is a rebranded version of this high-DPI razer, though the PC manufacturer slapped their own logo and a few minor aesthetic tweaks onto it for good measure. Razer is a respected name in gaming accessories and peripherals, so you know you’re getting something good with this. DPI – Up to 16000 DPI for designer-scale precision. DPI Modulation Buttons: Yes, two of them in fact. WDMI-Compatible: WinXP and higher only. Well, I may as well be honest that when it comes to games, I am much more fond of using a gamepad, and that includes certain 3D shooters. However, certain ones don’t operate that well with controllers, and when that time comes, this mouse makes a 3D FPS feel like absolute butter. I am very bad at FPSes myself, and I’ve actually managed to win several deathmatches, capture the flag rounds, and team PvP matches with this mouse over the years. If you’ve ever seen how quickly I die in an FPS, this is saying something, as my gaming background is mainly shmups and platformers usually. I love this mouse, and that includes for regular computer use as well. It’s sitting right beside me as I write this, happily aiding in the composition of this comprehensive list. The RGB is kind of pointless to me, but everything has LEDs in it these days, right? Nine programmable buttons, making you the boss of the server. The contour is very “for everyone” meaning nobody will find it entirely ergonomic. The RGB is a bit distracting. Some may find it a little too heavy. If one of the more specialty mice doesn’t suit your interests, I am comfortable recommending this as a one size fits all solution. I think everyone will be comfortable with this mouse, even if some people have some minor comfort issues with it. I find it perfectly comfortable, but it’s not really an ergonomic mouse in its specialism. Shooters are useful. They don't cultivate aggression and maniacal propensity, instead they help to relieve the stress after a tensed working or studies day. It’s about just sitting and relaxing or take part in real events reproduced on the screen. Choose the best FPS mice for you taking into account with my tips, and you won’t regret it, your leisure will become even better. The most important thing is not to carry weapons out of a game! Peace and love to everyone!